XBOX GAME PASS 3 month (XBOX ONE/WIN10/GLOBAL) + GIFT | Plati.Cash - buy and download digital products. 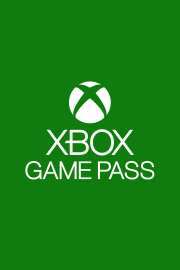 The Xbox Game Pass 3 month key will be displayed on your screen immediately after payment, and will also be delivered to your e-mail, which was specified at the time of purchase. Attention! The code must be used until May 25, 2019.
код рабочий,подписка крутая,код пришел сразу,затруднений не возникло.